It’s March and time to march on! January was mostly holiday and February was a time to catch up, so here we are back to business on the first day of March. 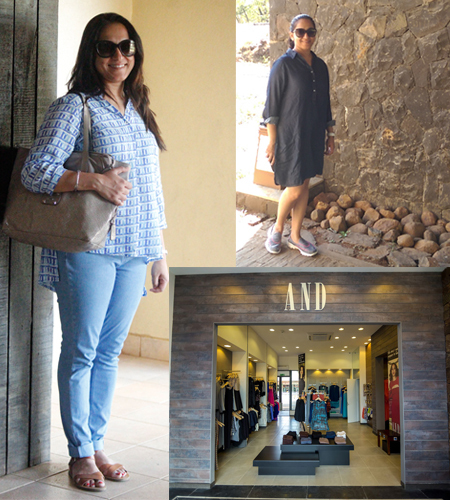 Picking a subject close to my heart..
Indulging in shopping was a large part of my recent trip, not surprisingly! You will long to shop too, when I tell you all about the delightful markets and stores in Mumbai. I’ve also got some tips, tricks and hints on how to bargain and where to find some of the best local designer outfits. AND- An all time favourite brand and a store where I made my first purchase during this trip. AND is all about high quality fabrics and fresh prints along with great cuts. Founded in 1995 by the talented fashion designer Anita Dongre, the brand offers unique evening wear, office wear and smart casual styles. I have had AND dresses for years and they still look like they are new, fresh and consistently fetch me compliments. A dark chambray dress was one of the recent purchases, the fabric, structure and fit is just what I like. I can see it becoming my weekend go to dress this autumn, I’m sure. Indian designer clothing has a wide array of options and you could go high end with bespoke designer wear or shop like a Bollywood celebrity. But what appealed to me was the fact that most top designers have now start producing a line that is affordable and appealing to the common shopper. You can’t expect to find throw away bargains but the pieces you will find will definitely give you impeccable style and your money’s worth. 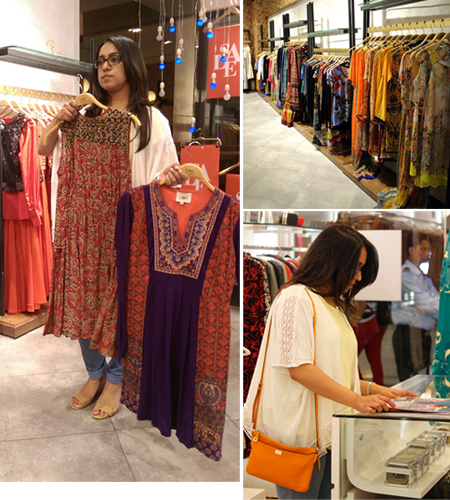 I shopped at Satya Paul for contemporary outerwear pieces and off beat Indian wear at Label by Ritu Kumar, I’m totally in love with my purchases. Palladium shopping center is a must visit if you are looking for a place that houses most designers under one roof. From contemporary everyday wear to the more grand ‘Bollywood’ outfits, shopping in Mumbai for kids wear is really easy and quite affordable. Well, that’s mainly because I am a believer in buying good but not splurging unnecessarily on kids clothing, after all they grow out of it before you know it! 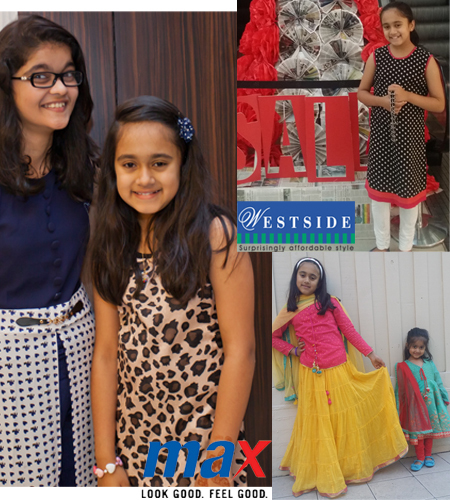 Affordable stores like Max and Westside offer everything from dresses, pants, tops, Indian wear, footwear and bags for kids. All you need is a trained eye to scan the stores efficiently and pick a unique print, a pretty color or a smart design. Biba kids is one of my favorites, the designs hardly disappoint and if you are shopping at sale time you can pick 2 or even 3 outfits for the price of 1! 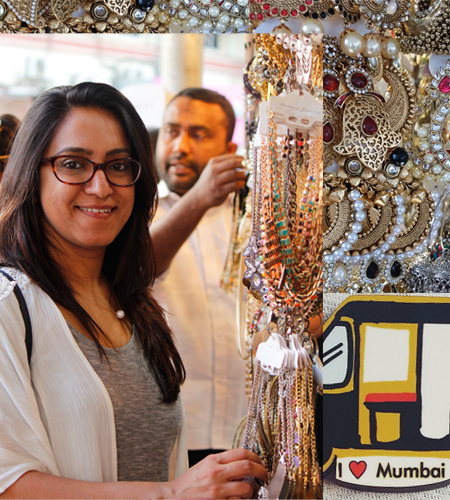 Mumbai is a street shoppers delight and that mostly holds true for buying glittery trinkets and quirky souvenirs. I had a field day shopping for presents that were impressive, trendy and an absolute bargain. The best tried and tested trick with bargaining is to start off by offering exactly half of what the vendor might ask you for! Sounds a bit shocking, but it actually works, you’ll be surprised at how much bang for your buck you will ultimately get. Things I recommend you don’t buy are clothes- as there will be no decent trial rooms and no guarantee of the quality. Store hopping on my day in the city went extremely well. Mumbai has a lot to offer not only in terms of variety of products but also price points, after all it is a city of contrasts. 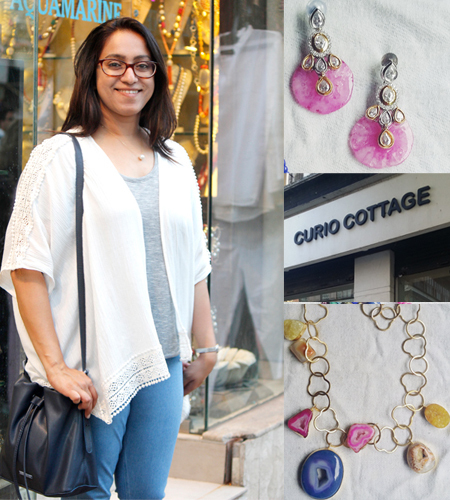 My search for unusual semi precious jewelry pieces took me to two stores that had me spoiled for choice. Aquamarine and Curio Cottage have a staggering range of necklaces, earrings, rings, bracelets and hand jewelry. I couldn’t resist indulging in gorgeous rough cut quartz pieces. These stores are a must visit for the avid jewelry collector, especially if you want something that is not the usual run of the mill. Like everything else, home ware has a mind boggling variety in both small and large stores. it is very likely that you would be grocery shopping in your local supermarket and come across interesting cushion covers, table runners or fancy serving bowls for an irresistible price. 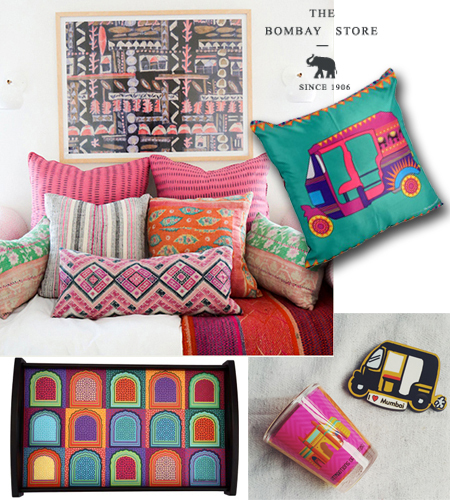 OR you could opt to go to more upmarket places like the Bombay Store or Fab India to find more classy goods, quirkier designs and exceptional gifts. I bought lovely Mumbai themed shot glasses and cushion covers at the Bombay Store and my girls went gaga over the cute range of fridge magnets. Westside and Hypercity have a really good affordable range of home ware including bed linen, throws and even cute printed mugs. 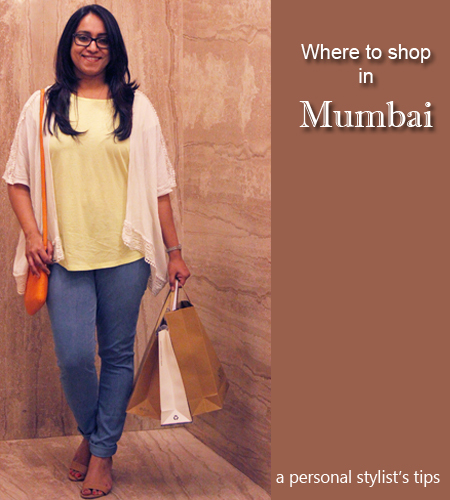 You will find these stores at any large mall in Mumbai. 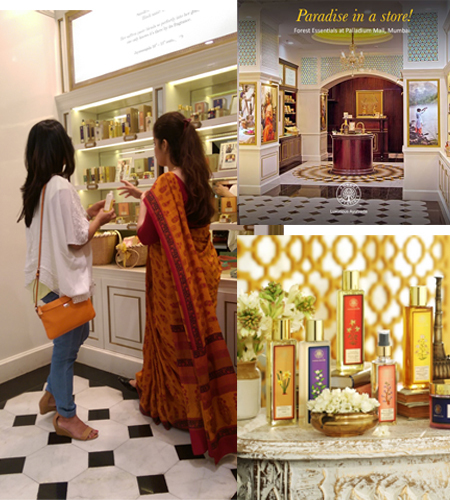 If you are planning a trip to Mumbai, make sure you bookmark these stores and track one near your accommodation. I hope you enjoy shopping in Mumbai when you next visit and also enjoy the variety, warmth and quirks this city has to offer. I love this post..sums up everything.